With the NFL season getting into full swing today we decided we wanted to take a look at one of the recent rule changes. The decision to move back the field goal point after attempt was done in an attempt to make it less of a certainty and increase the desire to go for two. The visualizations below attempt to see if teams should go for two more often. 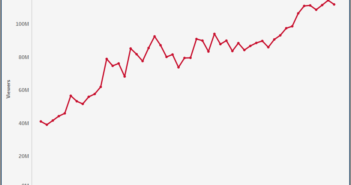 From the visualization above, it appears that there is a slight increase in the expected value of the PAT attempt if you go for two. Using the filters though, you can quickly see that there is variability across conferences and even more so by division and team. Below, there is a visualization showing the expected value for the PAT for every team. From reviewing the graphic below, you can see that there were some teams that were perfect at 2 point conversions in 2015. The teams that were perfect though only went for two a couple of times at most. The graphic below shows only the teams that had more than a couple attempts. As you can see from the data, the overall expected value of attempting a two point conversion is slightly higher, but the difference is very small and extremely variable. Some teams are definitely better than others at going for two. While it does seem that there is a slightly benifit overall in going for two, it is extremely inconsistent though and we would likely need to see an NFL team go for two more regularly and have them be successful at it to make any arguments of which is better. Microsoft Excel was used to clean the data and Tableau were used to create this visualization. 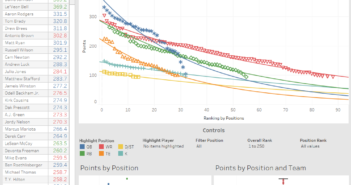 The NFL statistics about PATs were taken from sportingcharts.com One point attempts were taken from here and two point attempts came from here. If you want to keep up with our surveys, data analysis, or want more data about football be sure to follow us on Twitter and Facebook. How Many People in the U.S. Watch the Super Bowl Each Year?